This article is excerpted from Economic Controversies, chapter 21, "The Fallacy of the ‘Public Sector’" (2011). 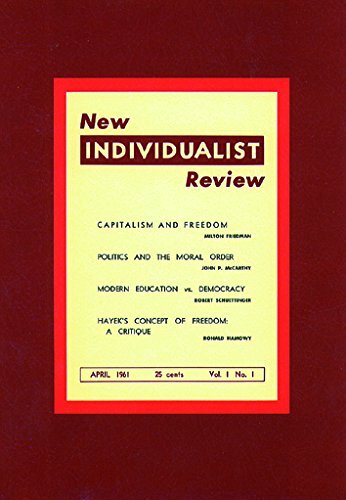 It was originally in the New Individualist Review (Summer, 1961): 37. We have heard a great deal in recent years of the "public sector," and solemn discussions abound through the land on whether or not the public sector should be increased vis-à-vis the "private sector." The very terminology is redolent of pure science, and indeed it emerges from the supposedly scientific, if rather grubby, world of "national-income statistics." But the concept is hardly wertfrei; in fact, it is fraught with grave, and questionable, implications. In the first place, we may ask, "public sector" of what? Of something called the "national product." But note the hidden assumptions: that the national product is something like a pie, consisting of several "sectors," and that these sectors, public and private alike, are added to make the product of the economy as a whole. In this way, the assumption is smuggled into the analysis that the public and private sectors are equally productive, equally important, and on an equal footing altogether, and that "our" deciding on the proportions of public to private sector is about as innocuous as any individual’s decision on whether to eat cake or ice cream. The State is considered to be an amiable service agency, somewhat akin to the corner grocer, or rather to the neighborhood lodge, in which "we" get together to decide how much "our government" should do for (or to) us. 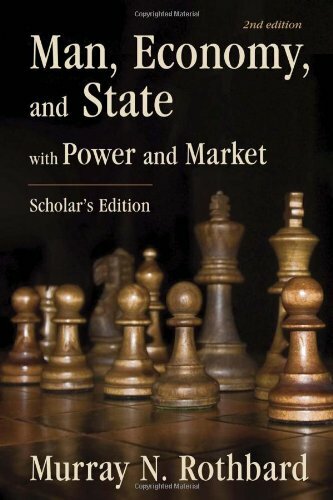 Even those neoclassical economists who tend to favor the free market and free society often regard the State as a generally inefficient, but still amiable, organ of social service, mechanically registering "our" values and decisions. One would not think it difficult for scholars and laymen alike to grasp the fact that government is not like the Rotarians or the Elks; that it differs profoundly from all other organs and institutions in society; namely, that it lives and acquires its revenues by coercion and not by voluntary payment. The late Joseph Schumpeter was never more astute than when he wrote, "The theory which construes taxes on the analogy of club dues or of the purchase of the services of, say, a doctor only proves how far removed this part of the social sciences is from scientific habits of mind." Apart from the public sector, what constitutes the productivity of the "private sector" of the economy? The productivity of the private sector does not stem from the fact that people are rushing around doing "something," anything, with their resources; it consists in the fact that they are using these resources to satisfy the needs and desires of the consumers. 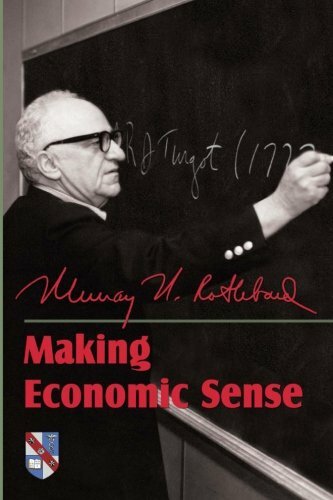 Businessmen and other producers direct their energies, on the free market, to producing those products that will be most rewarded by the consumers, and the sale of these products may therefore roughly "measure" the importance that the consumers place upon them. If millions of people bend their energies to producing horses-and-buggies, they will, in this day and age, not be able to sell them, and hence the productivity of their output will be virtually zero. On the other hand, if a few million dollars are spent in a given year on Product X, then statisticians may well judge that these millions constitute the productive output of the X-part of the "private sector" of the economy. One of the most important features of our economic resources is their scarcity: land, labor, and capital-goods factors are all scarce, and may all be put to various possible uses. The free market uses them "productively" because the producers are guided, on the market, to produce what the consumers most need: automobiles, for example, rather than buggies. Therefore, while the statistics of the total output of the private sector seem to be a mere adding of numbers, or counting units of output, the measures of output actually involve the important qualitative decision of considering as "product" what the consumers are willing to buy. A million automobiles, sold on the market, are productive because the consumers so considered them; a million buggies, remaining unsold, would not have been "product" because the consumers would have passed them by. Suppose now that into this idyll of free exchange enters the long arm of government. The government, for some reasons of its own, decides to ban automobiles altogether (perhaps because the many tailfins offend the aesthetic sensibilities of the rulers) and to compel the auto companies to produce the equivalent in buggies instead. Under such a strict regimen, the consumers would be, in a sense, compelled to purchase buggies because no cars would be permitted. However, in this case, the statistician would surely be purblind if he blithely and simply recorded the buggies as being just as "productive" as the previous automobiles. To call them equally productive would be a mockery; in fact, given plausible conditions, the "national product" totals might not even show a statistical decline, when they had actually fallen drastically. And yet the highly touted "public sector" is in even worse straits than the buggies of our hypothetical example. For most of the resources consumed by the maw of government have not even been seen, much less used, by the consumers, who were at least allowed to ride in their buggies. In the private sector, a firm’s productivity is gauged by how much the consumers voluntarily spend on its product. But in the public sector, the government’s "productivity" is measured  mirabile dictu  by how much it spends! Early in their construction of national-product statistics, the statisticians were confronted with the fact that the government, unique among individuals and firms, could not have its activities gauged by the voluntary payments of the public  because there were little or none of such payments. Assuming, without any proof, that government must be as productive as anything else, they then settled upon its expenditures as a gauge of its productivity. In this way, not only are government expenditures just as useful as private, but all the government need to do in order to increase its "productivity" is to add a large chunk to its bureaucracy. Hire more bureaucrats, and see the productivity of the public sector rise! Here, indeed, is an easy and happy form of social magic for our bemused citizens. The truth is exactly the reverse of the common assumptions. Far from adding cozily to the private sector, the public sector can only feed off the private sector; it necessarily lives parasitically upon the private economy. But this means that the productive resources of society  far from satisfying the wants of consumers  are now directed, by compulsion, away from these wants and needs. The consumers are deliberately thwarted, and the resources of the economy diverted from them to those activities desired by the parasitic bureaucracy and politicians. In many cases, the private consumers obtain nothing at all, except perhaps propaganda beamed to them at their own expense. In other cases, the consumers receive something far down on their list of priorities  like the buggies of our example. In either case, it becomes evident that the "public sector" is actually antiproductive: that it subtracts from, rather than adds to, the private sector of the economy. For the public sector lives by continuous attack on the very criterion that is used to gauge productivity: the voluntary purchases of consumers. We may gauge the fiscal impact of government on the private sector by subtracting government expenditures from the national product. For government payments to its own bureaucracy are hardly additions to production; and government absorption of economic resources takes them out of the productive sphere. This gauge, of course, is only fiscal; it does not begin to measure the antiproductive impact of various government regulations, which cripple production and exchange in other ways than absorbing resources. It also does not dispose of numerous other fallacies of the national product statistics. 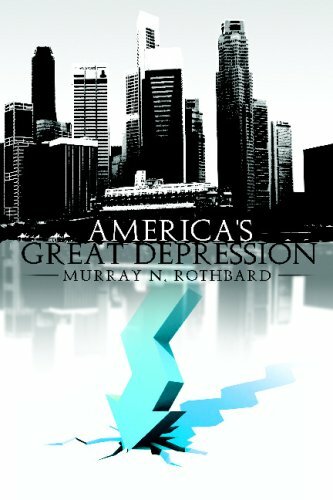 But at least it removes such common myths as the idea that the productive output of the American economy increased during World War II. Subtract the government deficit instead of add it, and we see that the real productivity of the economy declined, as we would rationally expect during a war. In another of his astute comments, Joseph Schumpeter wrote, concerning anticapitalist intellectuals, "capitalism stands its trial before judges who have the sentence of death in their pockets. They are going to pass it, whatever the defense they may hear; the only success a victorious defense can possibly produce is a change in the indictment." The indictment has certainly been changing. In the 1930s, we heard that government must expand because capitalism had brought about mass poverty. Now, under the aegis of John Kenneth Galbraith, we hear that capitalism has sinned because the masses are too affluent. Where once poverty was suffered by "one-third of a nation," we must now bewail the "starvation" of the public sector. By what standards does Dr. Galbraith conclude that the private sector is too bloated and the public sector too anemic, and therefore that government must exercise further coercion to rectify its own malnutrition? Certainly, his standard is not historical. In 1902, for example, net national product of the United States was $22.1 billion; government expenditure (federal, state, and local) totaled $1.66 billion, or 7.1 percent of the total product. In 1957, on the other hand, net national product was $402.6 billion, and government expenditures totaled $125.5 billion, or 31.2 percent of the total product. Government’s fiscal depredation on the private product has therefore multiplied from four to five-fold over the present century. This is hardly "starvation" of the public sector. And yet, Galbraith contends that the public sector is being increasingly starved, relative to its status in the nonaffluent 19th century! There will be question as to what is the test of balance  at what point may we conclude that balance has been achieved in the satisfaction of private and public needs. The answer is that no test can be applied, for none exists…. The present imbalance is clear…. This being so, the direction in which we move to correct matters is utterly plain. To Galbraith, the imbalance of today is "clear." Clear why? Because he looks around him and sees deplorable conditions wherever government operates. Schools are overcrowded, urban traffic is congested and the streets littered, rivers are polluted; he might have added that crime is increasingly rampant and the courts of justice clogged. All of these are areas of government operation and ownership. The one supposed solution for these glaring defects is to siphon more money into the government till. But how is it that only government agencies clamor for more money and denounce the citizens for reluctance to supply more? Why do we never have the private-enterprise equivalents of traffic jams (which occur on government streets), mismanaged schools, water shortages, and so on? The reason is that private firms acquire the money that they deserve from two sources: voluntary payment for the services by consumers, and voluntary investment by investors in expectation of consumer demand. If there is an increased demand for a privately owned good, consumers pay more for the product, and investors invest more in its supply, thus "clearing the market" to everyone’s satisfaction. If there is an increased demand for a publicly owned good (water, streets, subway, and so on), all we hear is annoyance at the consumer for wasting precious resources, coupled with annoyance at the taxpayer for balking at a higher tax load. Private enterprise makes it its business to court the consumer and to satisfy his most urgent demands; government agencies denounce the consumer as a troublesome user of their resources. Only a government, for example, would look fondly upon the prohibition of private cars as a "solution" for the problem of congested streets. Government’s numerous "free" services, moreover, create permanent excess demand over supply and therefore permanent "shortages" of the product. Government, in short, acquiring its revenue by coerced confiscation rather than by voluntary investment and consumption, is not and cannot be run like a business. Its inherent gross inefficiencies, the impossibility for it to clear the market, will insure its being a mare’s nest of trouble on the economic scene. 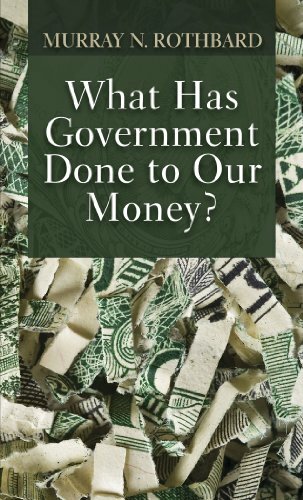 In former times, the inherent mismanagement of government was generally considered a good argument for keeping as many things as possible out of government hands. After all, when one has invested in a losing proposition, one tries to refrain from pouring good money after bad. And yet, Dr. Galbraith would have us redouble our determination to pour the taxpayer’s hard-earned money down the rathole of the "public sector," and uses the very defects of government operation as his major argument! Professor Galbraith has two supporting arrows in his bow. First, he states that, as people’s living standards rise, the added goods are not worth as much to them as the earlier ones. This is standard knowledge; but Galbraith somehow deduces from this decline that people’s private wants are now worth nothing to them. But if that is the case, then why should government "services," which have expanded at a much faster rate, still be worth so much as to require a further shift of resources to the public sector? His final argument is that private wants are all artificially induced by business advertising, which automatically "creates" the wants that it supposedly serves. In short, people, according to Galbraith, would, if let alone, be content with nonaffluent, presumably subsistence-level living; advertising is the villain that spoils this primitive idyll. Aside from the philosophical problem of how A can "create" B’s wants and desires without B’s having to place his own stamp of approval upon them, we are faced here with a curious view of the economy. Is everything above subsistence "artificial"? By what standard? Moreover, why in the world should a business go through the extra bother and expense of inducing a change in consumer wants, when it can profit by serving the consumer’s existing, uncreated wants? The very "marketing revolution" that business is now undergoing, its increased and almost frantic concentration on "market research," demonstrates the reverse of Galbraith’s view. For if, by advertising, business production automatically creates its own consumer demand, there would be no need whatever for market research  and no worry about bankruptcy either. In fact, far from the consumer in an affluent society being more of a "slave" to the business firm, the truth is precisely the opposite: for as living standards rise above subsistence, the consumer gets more particular and choosy about what he buys. The businessman must pay even greater court to the consumer than he did before: hence the furious attempts of market research to find out what the consumers want to buy. There is an area of our society, however, where Galbraith’s strictures on advertising may almost be said to apply  but it is in an area that he curiously never mentions. This is the enormous amount of advertising and propaganda by government. This is advertising that beams to the citizen the virtues of a product that, unlike business advertising, he never has a chance to test. If Cereal Company X prints a picture of a pretty girl declaiming that "Cereal X is yummy," the consumer, even if doltish enough to take this seriously, has a chance to test that proposition personally. Soon his own taste determines whether he will buy or not. But if a government agency advertises its own virtues over the mass media, the citizen has no direct test to permit him to accept or reject the claims. If any wants are artificial, they are those generated by government propaganda. Furthermore, business advertising is, at least, paid for by investors, and its success depends on the voluntary acceptance of the product by the consumers. Government advertising is paid for by means of taxes extracted from the citizens, and hence can go on, year after year, without check. The hapless citizen is cajoled into applauding the merits of the very people who, by coercion, are forcing him to pay for the propaganda. This is truly adding insult to injury. If Professor Galbraith and his followers are poor guides for dealing with the public sector, what standard does our analysis offer instead? The answer is the old Jeffersonian one: "that government is best which governs least." Any reduction of the public sector, any shift of activities from the public to the private sphere, is a net moral and economic gain. Most economists have two basic arguments on behalf of the public sector, which we may only consider very briefly here. One is the problem of "external benefits." A and B often benefit, it is held, if they can force C into doing something. Much can be said in criticism of this doctrine; but suffice it to say here that any argument proclaiming the right and goodness of, say, three neighbors, who yearn to form a string quartet, forcing a fourth neighbor at bayonet point to learn and play the viola, is hardly deserving of sober comment. The second argument is more substantial; stripped of technical jargon, it states that some essential services simply cannot be supplied by the private sphere, and that therefore government supply of these services is necessary. And yet, every single one of the services supplied by government has been, in the past, successfully furnished by private enterprise. The bland assertion that private citizens cannot possibly supply these goods is never bolstered, in the works of these economists, by any proof whatever. How is it, for example, that economists, so often given to pragmatic or utilitarian solutions, do not call for social "experiments" in this direction? Why must political experiments always be in the direction of more government? Why not give the free market a county or even a state or two, and see what it can accomplish? John Kenneth Galbraith, The Affluent Society (Boston: Houghton Mifflin, 1958), pp. 32021. 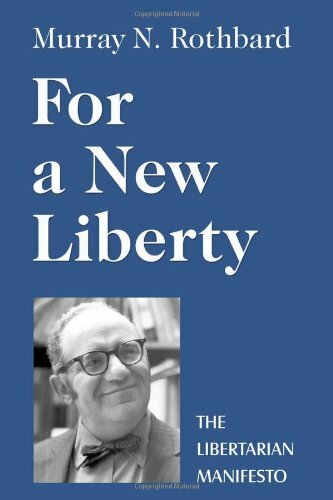 For more on the inherent problems of government operations, see Murray N. Rothbard, "Government in Business," in Essays on Liberty (Irvington-on-Hudson, N.Y: Foundation for Economic Education, 1958), vol. 4, pp. 18387. 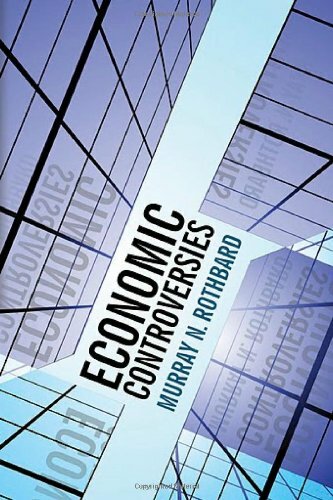 Murray N. Rothbard (1926–1995) was dean of the Austrian School, founder of modern libertarianism, and academic vice president of the Mises Institute. He was also editor – with Lew Rockwell – of The Rothbard-Rockwell Report, and appointed Lew as his literary executor. See his books.